If your dream home is one that sits safely tucked away yet close to conveniences, consider viewing the homes at Bay Point Estates. An affluent, gated community, Bay Point Estates is located, as the name implies, on the bay in Miami’s Upper East Side neighborhood. Considered a historic neighborhood, it is located next to its equally historic sister, Morningside. If you are considering the purchase of a home in Bay Point Estates, we’d like to help you get to know the community a little better. 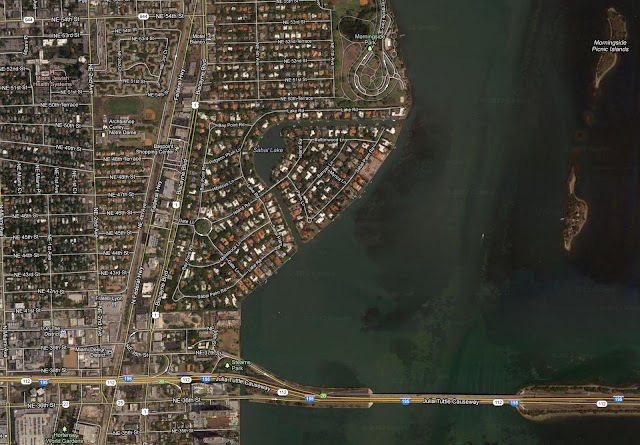 • You can find Bay Point Estates between NE 41st Street and NE 50th Street alongside Biscayne Boulevard. 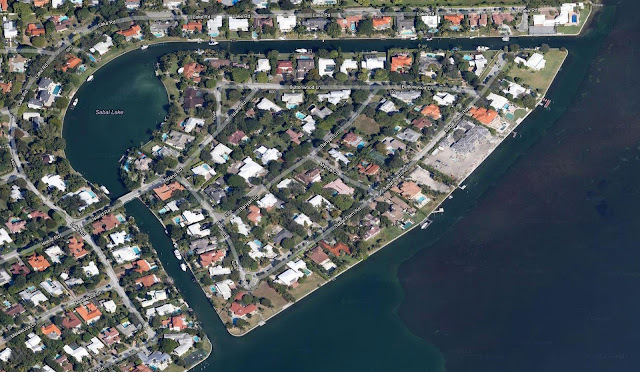 • The streets in Bay Point Estates are privately owned and maintained by homeowners’ association. Some Bay Point Estates high school students attend Design Architecture Senior High School (DASH), a magnet school and the leading high school in Florida, according to U.S. News and World Report. Many Bay Points Estates families send their children to Miami Country Day School (MCDS), located about 15 minutes north of the community. MCDS is a private, non-denominational college preparatory academy for students from kindergarten through the 12th grade. The school sits on 16 acres and offers a new Aquatic Center and athletic fields. Known for its small class size and diversity of students (more than 75 percent of the students’ parent were born abroad), MCDS was dubbed Miami’s “Hot School” by W Magazine. Private schools in the area include Archbishop Curley-Notre Dame Middle and High School, overseen by the Archdiocese of Miami. Archbishop Curley-Notre Dame is college preparatory and offers an honors curriculum. Also nearby is The Cushman School, a private, non-denominational, coed school for grades nursery through 8th. Bay Point Estates residents are blessed with living within close proximity to the heart of Miami and only 10 minutes away from South Beach. Another ten minutes puts them in Coral Gables and Aventura. Closer to home, however, residents enjoy a plethora of shopping and dining opportunities. There is a new Publix located immediately outside the community and the amazing shopping and dining experiences of midtown and the Design District are a mere 10 minutes away. Bay Point Estates attracts residents who choose, most of all, to live in an area where yachting is a major component of the culture. 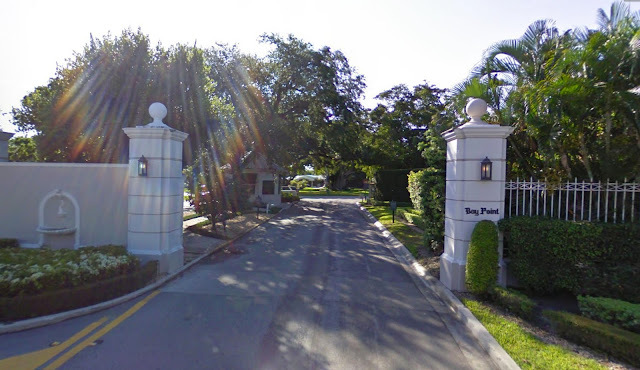 One of this country’s most expensive street addresses is located here in Bay Point Estates: Sabal Palm Road. Home of singer Enrique Iglesias, estates on Sabal Palm rarely become available and, when they do, they are priced upwards of $3 million. 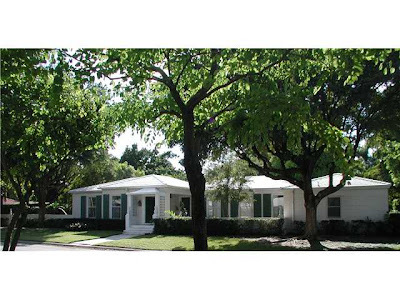 While Bay Point homes are fabulous by any standards, it’s the property they sit on that brings the huge asking prices. Many homes are located on the water, come with private docks, and feature pools, wine cellars, gourmet kitchens and custom touches throughout. Life in Bay Point Estates is very much like living, year-round, in a resort setting. Current prices in Bay Point Estates range from $1.2 million to $4,150,000. Home sizes range from 2,658 square feet to just under 6,000 square feet. A 4-bedroom, 3-bathroom 1930s stunner, set back from the the street. Two of the home’s bedrooms feature private bathrooms. The home also offers an office, family room and an updated kitchen. Outdoor entertainers will enjoy the gorgeous back yard with koi pond, pool, waterfall and huge patio. This home is offered at $1.2 million. 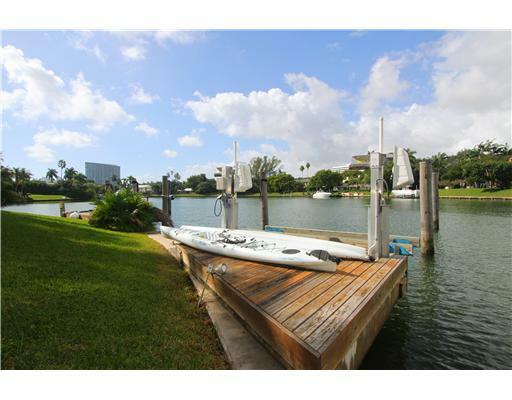 Stepping up to the lower $2 million price range brings us to a 4-bedroom, 4.5-bathroom home on the water. The home includes a formal dining room, a family room and a large terrace on the second floor. It’s being offered at $2.2 million. Although this next home was built in the late 1940s, it’s been completely renovated with an eye to maintaining its original charm. With 4 bedrooms and 4 bathrooms, the home sits on the water on a large, 12,700 square foot lot. The over-100 feet of docked water frontage will accommodate an 85-foot boat. The homeowners installed a new deck with entertaining areas around the pool. This home is offered at $3.2 million. At the top of the price range in Bay Point Estates sits a 5-bedroom, 5.5-bathroom home with 4,406 square feet of living space. This home oozes understated elegance, from its water views to its two docks. 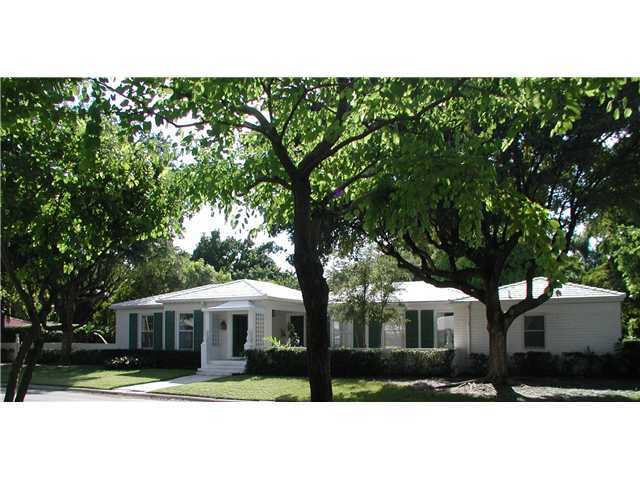 The oversized lot has a park-like feel, with various entertaining areas tucked away throughout. The home is a single-story stunner and offers gleaming wood floors, a formal dining room, a wall of windows in the living room, tastefully appointed bathrooms and oversized bedrooms. It is being offered at $4,150,000. This home is also available for lease for $14,000 a month. If you choose to rent a home in Bay Point Estates, you are in luck. There are currently three homes (in addition to the home listed above) available to rent. The least expensive home sits on a corner lot and boasts 4,500 square feet of living space, with 5 bedrooms and 4.5 bathrooms. It features a very private backyard with a pool and can be rented for $5,500 per month. For $8,000 a month, renters have two homes from which to choose in Bay Point Estates. The first has 7 bedrooms and 4 bathrooms in 3,503 square feet of living space. This colonial-style home is located on the waterfront and it is being offered as a short-term rental. The other home at this price point has 4 bedrooms, 5 bathrooms and 4,176 square feet of living space. It features hardwood floors, an open kitchen and a pool in the tropical backyard. Whether you’re in the market to lease or purchase a home in Bay Point Estates, we are happy to set an appointment to view any available home. This is so unique content that I have been looking for it from couple of days. Your sharing is new and very useful. your service is just amazing and your blog also. I think my site is also a great site for this types of product.Because it is fast and trusted.